Blood BeGone Soap by Shiva Shade is a bio-based vegetable oil based soap solution with natural emollients specifically designed to remove dried blood from skin, scalp and hair. 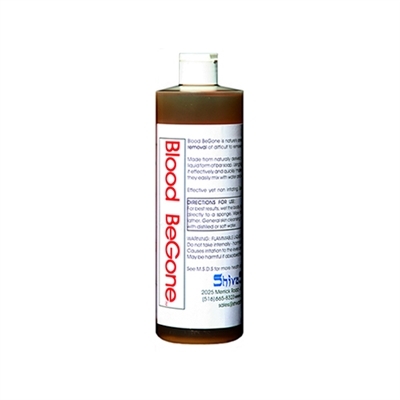 BloodBeGone is biodegradable and ultra concentrated, so a tiny bit goes a long way! 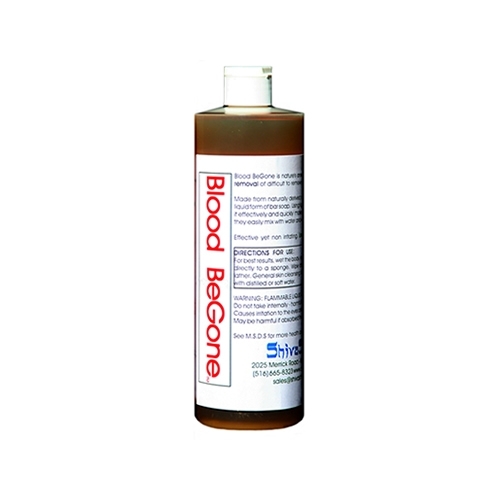 Blood BeGone Soap is available in a 16 oz bottle. Sold by the bottle or the case (12 bottles).